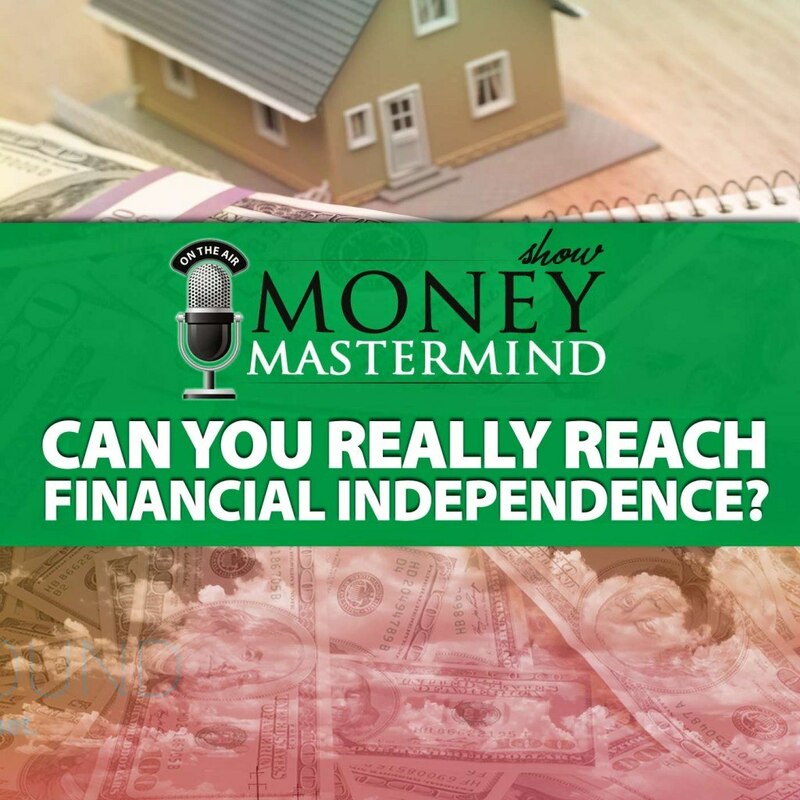 Home › Personal Finance, Podcast › MMS073: Can You Really Reach Financial Independence? The idea that you can reach financial independence is one that inspires many. 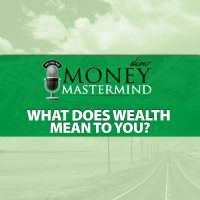 What would it be like to be in a position where you don’t have to worry quite as much about money? 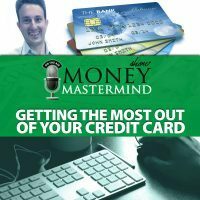 Sean Cooper joins us to talk about what he’s doing to reach financial independence — including how he paid off his mortgage in just three years. [ANNOUNCER]: Welcome to the Money Mastermind Show. Let’s Talk Money. [0:00:18] GC: Welcome to the Money Mastermind Show. Financial Independence sounds real great but it also sounds like something that’s far off or for most people probably not something that’s really going to happen. Can we really reach financial independence? Well tonight, we have Sean Cooper, freelance writer. You can find him at seancooperwriter.com. Welcome to our show Sean. [0:00:42] SC: Hi, thanks for having me. [0:00:43] GC: Thanks for coming and I think we all know the members of the Money Mastermind Show. We have Kyle Prevost of youngandthrifty.ca, Miranda Marquit of Planting Money Seeds, Peter Anderson of Bible Money Matters, Tom Drake of the Canadian Finance Blog and I’m Glen Craig of Free from Broke. So Sean, tell us a little bit about financial independence, what does that actually mean? Is that like thirst in hell over the third, living in lavish luxury on some deserted island or what is that? [0:01:15] SC: Well, there seems to be all sorts of definition of financial independence. You can look up the definition on Wikipedia, but to me financial independence is about basically being able to live off of the assets that you own without having to work a day job. In my situation, with my house and the rental income that I get, it covers all the expenses and I end up getting a profit. I wouldn’t even have to work if I wanted to so it’s basically from earning income to rental on our rental property. I have a choice of retiring if I want to, I mean of course I don’t want to do that because I’m only 30 but it just gives you more opportunities in my opinion. [0:01:57] GC: What do you mean by retiring? What would that mean that you just didn’t have to worry about trying to make money anymore? [0:02:05] SC: Yes, I mean I’m still young and there’s other goals that I want to achieve in life but basically, I wouldn’t have to grind in the workforce if I didn’t want to so that’s basically what financial independence means to me. Rental income or whether you’re living off your investments or whatnot, if that covers all your daily living expenses then that’s what financial independence is in my opinion. [0:02:37] GC: Sounds like a pretty good definition there. How did you get into property owning, if I understood it correctly and rental income? Because that in itself sounds maybe a little scary or far off for a lot of people? [0:02:53] SC: Yes, well I was inspired by Scott McGillivray from the show, Income Property on HD TV. I heard a story about how when he was at the University of Waterloo, he actually used some of his OSAP money, student loan money towards a down payment of his very first income property and from there, he owns hundreds of income properties. I mean it’s not my dream to own a hundred income properties or anything like that but I think with how crazy the prices are in big cities like Toronto and Vancouver, that the average detached home for a million dollars that for one single person to own a house is unrealistic unless you have some secondary income source. So I think in a city like Toronto, having some sort of rental income or roommates is kind of a no-brainer unless you want to have a mortgage for the next 25 years. [0:03:49] GC: Yeah, I mean I’m just outside of New York City and it’s really hard on one income. We live in an area where it’s easy to be six figured poor, if that makes sense? But also owning that first home is also such a far off thing for many people. How do you get enough money outside of using maybe student loans like you had talked about somebody using it before? How do you do that? How do you get that first nut, so to speak, saved up? [0:04:15] SC: Well, how I did it was I actually started saving my down payment while I was still in university. So I was working three part time jobs while I was in university as well as during the summer time, I would work full time. So basically with the money that I earned during summer time, I was able to pay for the entire year’s tuition and then any of the extra money, I was putting away towards a down payment. Now, after I graduated, I saved for three years towards the down payment of my house and I basically continued to live like a student and lived frugally even after graduating. So by living frugally and doing extra work like writing freelance personal finance articles, I was able to put away a lot of money and probably saved about 80% of my paycheck and basically build a big down payment because without that, there was no way I would’ve been a home owner in a city like Toronto. [0:05:18] PA: Yeah, I’ve read several quotes talking about your story and that’s pretty compelling and one thing you’ve talked about in several of those is the importance of first dividing your income and having more than one income source and do I think that’s really an important part of what you’ve done in order to achieve your independence? [0:05:40] SC: Definitely because some people think that it’s risky to work freelance but I think depending on one source of income, a full time job is actually risky because if you lose your full time job that’s 100% of your income gone. So I basically have multiple streams of income like my full time job as well as I used to work part time at a supermarket. I also had rental income as well as my freelance income and it came from multiple clients. So I mean I definitely diversified my income and I think that’s a good strategy rather than just depending on one source of income. [0:06:22] MM: Amen! Yay! Well just as the other freelancer on here, I mean that’s what I do full time, is freelance and so it’s nice. and one of the things that struck me since I’m a renter, I owned a home once and I didn’t like it so I actually like to rent. But one of the things that struck me was you went back and was talking about if you wanted to quit his job or if you wanted to live in this way and to me, it’s not so much about, “Hey, I want to be able to live off my assets forever.” But it’s about freedom and flexibility. And so even though, I don’t have rental income or anything, I have a nice career where I make enough money where I have a very flexible lifestyle and so to me, that’s more important than whether or not I have a huge nest egg or whether or not I have property and I think it goes back to auctions and whether you’ve build up that flexibility. I really like what Sean was talking about, when he was talking about figuring out how he wanted to live, what he wanted to do and what his goals were and then just going for it. And I think that’s very important even if my goals don’t mesh with Sean’s goals, I really like the way he approached it. [0:07:32] KP: Sean, I’m wondering because as a guy that likes to stir the pot and sometimes steps on people’s toes, you my friend have a particular talent for stirring up “the haters” as I call them. It’s amazing like don’t ever read Internet comments they’re terrible things but I do. Everyone warns me not to and on Sean Cooper’s articles, there’s people like me who are like, “Oh my God, this is an awesome story. This guy sacrificed some of these luxuries and did cool stuff,” and then they’re outweighed by these insane people who feel the need to tell you how to run your life. So what do you do to inspire it and what about your sacrifice that seems to really trip people up? [0:08:14] SC: As I’ve said many times, my stories are very polarizing. Some people think either, “Wow, he did a great thing,” or there are other people who think, “Well, boy he’s crazy. Well I would never be something like that.” So I guess it all comes down to people are accustomed to the lifestyle that they have already and they just aren’t willing to make the financial sacrifices. But as I mentioned, it’s probably not realistic for most people to pay out their mortgage in three years but if you can draw some sort of inspiration from my story and learn some lessons and perhaps pay off your mortgage in 20 or 15 years, I think that’s great. Rather than concentrating on the haters, I would like people to take a positive message and set some financial goals for themselves rather than trying to insult my accomplishments. I wish that people would take a positive outlook on it but there’s always those people out there that hide behind computers and make anonymous comments but I’m not really paying attention to those people. I kind of just ignoring those comments. [0:09:28] MM: Well, I think you’re crazy. [0:09:28] KP: Good for you Sean. [0:09:46] PA: It’s driving and it comes down to it. [0:09:47] MM: I would not sacrifice it but I love that you did that. [0:09:49] PA: What you did is huge. [0:09:50] MM: Yeah, for sure. [0:09:51] PA: I mean you paid off $255, 000 of mortgage debt within three years, is that what it was? and that’s what you need to do with whatever you’re doing with your money. [0:10:04] GC: That’s a pretty hefty mortgage too. [0:10:05] PA: I remember reading some of his articles about the sacrifices that you were making. One of them was you’re doing a full time job and you have your part time job working at a supermarket. As a vegetarian, you were working at the meat department? [0:10:18] SC: Yes, that’s correct. That shows how determined I was. sides of beef, Sean is selling them and then eating vegetables. It’s awesome. [0:10:29] MM: I don’t know, I was going to ask if you had any moral cloundries about having to work in the meat department? [0:10:35] SC: It wasn’t the most glamorous job. I was fine with it except when I saw a rabbit meat that made me sick to my stomach but besides that, it was absolutely peachy. [0:10:49] PA: That really what that comes down to, you either are going to make a huge goal like this, you’re going to have to make sacrifices along the way, right? [0:10:56] GC: What’s interesting is if there’s people out there that’s saying that, “Hey what you’re doing is crazy.” To me that doesn’t sound too crazy. What you did was just very determined and you just worked very hard for it and you sacrificed maybe some luxuries right now. Crazy is like I decide to live in a desert somewhere or whatever. I don’t know or like a crazy story. What you did is you just worked hard for it but maybe that says something about what our society is at right now. Where just working hard for a particular goal sounds completely insane. Like, “I can’t even cut out my latte never mind all of the things that Sean Cooper is doing. He bought this beautiful home and then rented out the top part of it,” which obviously is a huge part. I don’t want to steal Sean’s thunder here but that’s one small thing he did and people are like, “Oh my God, I’d be enjoying the top of that house. I’d be putting in a TV, looking in.” Instead Sean did a smart thing, banked the money and people hate him for it. It’s crazy. I don’t know if Sean’s way more level headed about this than I am. I just find the whole thing just mind boggling to me. [0:12:30] TD: But honestly, I feel like I’ve wasted the best years of my life by not working the way that Sean did it earlier on kind of thing during my 20’s. I didn’t really try that hard. Thankfully, I had gone into a good real estate market but it’s not from hard work. [0:12:48] SC: Well, I mean I met a young lady today who actually started and bought a pre- construction condo at age 20 and she’s going to be moving into it at age 24. So that makes me sound not very ambitious. I bought my house at 27. [0:13:07] GC: What you did you bought a home and that sounds like a good portion of where you’re getting your assets to live off of, is that reasonable for most people? What about your story can really translate to everybody else? [0:13:22] SC: Well, I would say that the main lessons from my story is all about goal setting whether you want to own a house or you want to save towards a down payment or you want to save towards retirement. It’s about setting a goal and then keeping the steps that you need to get there. So I’d say that it’s important to have a budget and track your spending. Because if you don’t know where your money is going, it’s hard to achieve any sort of financial goal. I mean owning a house in a City like Toronto and Vancouver if you’re a single home owner, today is pretty tough. Maybe you should go for a condo first because quite honestly, if I had try to duplicate what I did in the year 2015, I don’t think that I could do it. don’t know, I might see the government step in and make it a bit easier for people to get into the housing market because it seems to keep getting harder. [0:14:41] GC: I think part of that is because I know in the United States, we had our whole issue where it got a little too easy to get into the market and then it would be fine. Well, it burned the whole country basically didn’t it? place might make some sense but I guess we have to find a happy medium between that. [0:15:03] SC: Exactly. [0:15:04] MM: I thought that’s interesting that you talked about how the new rules make it difficult for first time home buyers and millennials to get in especially in Toronto and Vancouver because as we know, the detached home in Vancouver or Toronto is going to be more than a million dollars and even when you’re looking at condos, we’re looking I think the average was $600,000 about for Toronto. I thought that was interesting that you said that because I think part of it is they wanted to slow down this housing markets. But a lot of the time, we get that conventional advice that you’re supposed to save about 20% and so if 10% is too much for somebody to save up for down payment, I mean I can’t imagine to try to save up 20% if you follow conventional advice. I don’t obviously but if you’re following conventional advice and trying to save up 20% in those markets, it’s even crazier. [0:15:56] SC: Exactly. I mean you can’t even get mortgage insurance for houses valued over a million dollars. So you’ve got to leave a 20% down payment so I mean that’s pretty tough for a million dollar property that’s $200,000 that you have to comp with. That’s a lot of money. [0:16:14] GC: That’s a whole house in other markets. MMS 73 Transcript [0:16:18] SC: Exactly. [0:16:20] KP: $40,000 in my market, oh man. [0:16:22] MM: I was going to say, yeah in the market that I’m living in, you can get, the house that I’m living in, I could probably if I wanted to buy it and send it right out, I could probably buy it for about a $100,000. [0:16:34] PA: It must be rough there. [0:16:35] MM: Yeah. It’s a hard life here in Idaho. [0:16:39] TD: A down payment for me. [0:16:40] MM: Which is why I’m here right? Because it’s inexpensive and because I can live here in Idaho and it’s really inexpensive and I can do what I want with my money. to an airport but it’s inexpensive. [0:17:02] GC: If there’s anything that I think maybe most people — you know what, let me re- word this. When I was that age, the thing for me was not necessarily that I would have to work hard to do that but just what I even wanted to do with that age, you know? I think maybe a lot of people are like, “What am I going to do in my early mid-20’s that I even know that I want to own a home and do this thing?” So it’s kind of a unique thing in it’s own like what told you that it’s what you wanted to do? How did you know that that was a direction you should go? home if it wasn’t for them setting a good example. I strongly believe that owning a home is the foundation of a financial success. I like how it is basically for savings because you can be better ranked in. But the problem is that you have to be financially disciplined and willing to save the money that you’re saving for rent and that would have gone towards household expenses if you would have a mortgage but the problem is people go to lifestyle inflation and take nicer vacations or buy fancier car with that. Basically, I credit my parents with encouraging me to buy a home because if they were renters then I probably wouldn’t have the same outlook that I do today. [0:18:34] MM: My son is so screwed. No, I’m kidding. [0:18:39] GC: I’d say what you did, like I said, it doesn’t sound like it’s that crazy of a story. It’s just that it takes a lot of determination, a lot of hard work and I think that’s where a lot of people are a little afraid to jump in and maybe that’s the reaction that you’re getting, losing some people’s psyches. [0:18:56] KP: I think what he said that was really on the mark was discipline because like I said, I’m a renter. I have done both the home ownership thing which I hate and the renting thing which I love and I love apartments but I think the discipline and the figuring out what you want and being disciplined enough to make it happen is what’s really important. Because if you’re not saving any money, either you need to increase your income or decrease your expenses or both. So there’s no easy way about it. You have to be willing to work hard. If you’re not willing to do that, then your financial goals aren’t start going to come true. [0:20:09] GC: Sean, I really love the story and I love that what you’re doing is really within reach of most people. They just have to put the hard work into it. What we like to do now is have our final word for the episode. So our final word on financial independence, Tom if you could give us yours? [0:20:24] TD: There’s certainly certain sacrifices that Sean made that I probably couldn’t make like having roommates and everything but I think certainly, everybody can take something from that like the idea to work hard for what you want and do nothing and expect everything to kind of workout. [0:20:41] GC: Peter, what’s your final word? [0:20:43] PA: My final word is just to take from that setting those goals is important. You figuring out what you want on life whether it is home ownership or other goals that you have of retiring early or whatever the case may be, figure out what those goals are. Sit down, have a budget, get rid of all your debt first of all and then start saving so that you can make those goals come true. It’s not going to happen unless you start that planning process first. [0:21:12] GC: Miranda, what’s your final word? [0:21:13] MM: Kind of along the lines of Peter. I think you want to take a look at what sort of lifestyle you want to lead and what kind of flexibility and freedom is important to you and then try and take the steps that will help you achieve that. Like I said earlier, I’m not terribly interested in amassing a huge amount of money. Obviously, I am saving for the future. I’ve got my tax advantage retirement accounts that I contribute to but what I’m really most interested in is being able to live flexibly now and be as financially stable as possible and so just sort of evaluate that and figure out what matters to you. [0:21:48] GC: And Kyle, what’s your final word on financial independence? [0:21:51] KP: Well, I don’t know about everyone’s plan for financial independence but I think a solid start would be to check out the single’s site or the single’s ad of a young Sean Cooper who is on the market, not the stock market, the single’s market. So if you’ve got romantic music in your head, if you want a level headed guy who enjoys long bike rides, Sean is your man. [0:22:15] GC: Wow Kyle, you can have your own kind of single’s ad there. [0:22:17] KP: Sorry, if I’m realistic Sean. I just loved the post. I just loved it. I think it’s awesome. [0:22:24] MM: Kyle, when are you going to do my single’s ad? [0:22:29] KP: Never own a home, Miranda Marquit. [0:22:34] GC: We’re going off a little bit on a tangent there I think but Sean, what’s your final word on financial independence? [0:22:42] SC: I would say whether it’s financial independence or whatever financial goal you’d would like to meet, it all comes down to goal setting. Whatever goal you like to meet in your life, basically it’s about setting a goal and basically creating a game plan in order for that to happen. Owning a home is definitely a big goal, a long term goal but you have to be willing to make sacrifices as well as basically look at creating steps in order to own a home. Look at where you are right now, look at your budget and see places that you can perhaps cut back and try to bank as much money as possible and if it seems like a realistic goal for you and you’re willing to put in the effort and work hard, then you could possibly own a home and even if you can’t pay it off in three years, then you can pay it off at whatever seems realistic for yourself. take something away from that. Hopefully they do. I think they can definitely can. Tell us a little bit about where people can find you and what you do? [0:24:03] SC: Okay, well I’m a personal finance writer. You could find my work on my website, SeanCooperwriter.com. I also write for ratesupermarket.ca and if you want to check out my latest writing, you can follow me on Twitter as well as like me on Facebook. Those are found on my website so yes, definitely check that out. [0:24:26] GC: And why don’t you shout that out for us just in case somebody wants to hop on there right now. [0:24:33] SC: Okay, my Twitter account is @SeanCooperWrite and Facebook, you can basically click on the main link on my website. That’s the easiest way to get to it and like it on Facebook and you can check out the latest articles as well as I share content related to personal finance on there as well from websites like Yahoo! Finance. [0:24:59] GC: Thanks again Sean for coming on and sharing your story with us. Thank you everybody out there for listening and until next week, be good with your money. Good night. [ANNOUNCER]: Thanks for joining us on the Money Mastermind Show, get more information at Moneymastermindshow.com. Don’t forget to subscribe to the show on iTunes and YouTube and follow us on Google Plus. What does it mean to reach financial independence? What are some of the steps you need to take to improve your finances? 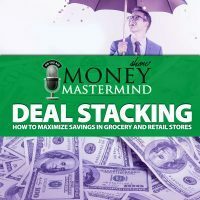 Tips for figuring out your next money moves. Strategies that can help you reach financial independence sooner. ← MMS072: Are MLMs a Good Source of Income?